Close-up of a single Eastern Flowering Dogwood (Cornus florida). 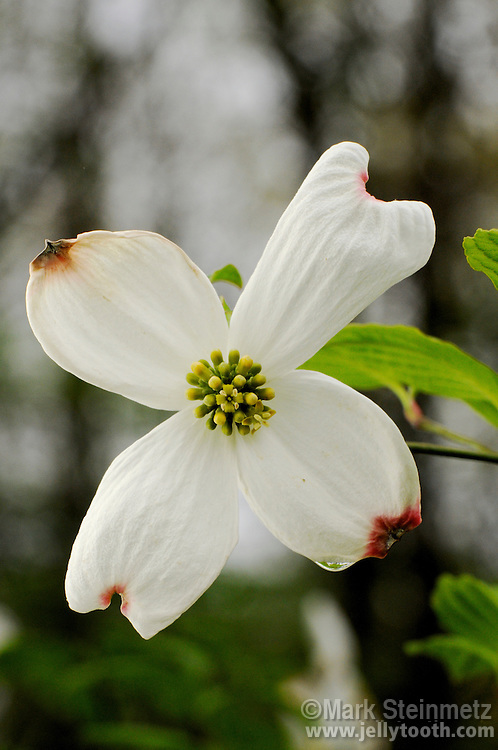 Dogwood is the state flower of North Carolina and Virginia. Franklin County, Ohio, USA.